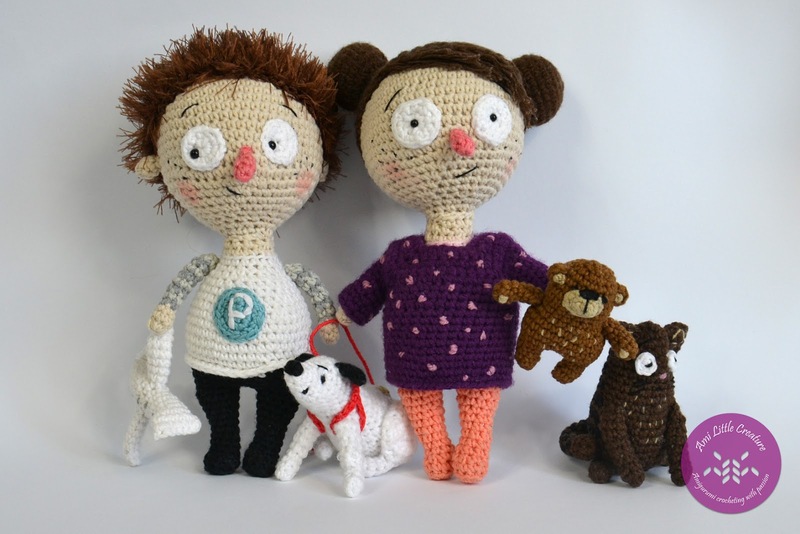 I crocheted Pucio with his plane, Misia with her teddy bear and animals: cat and dog. 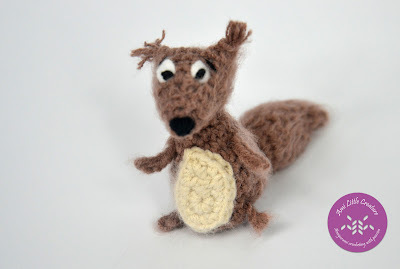 Mr squirrel also was crocheted, but he already went to the forest :-) Do you like them? You can watch tutorial about Pucio on my YouTube channel and Misia is based on the same pattern but have some modifications. I describe Pucio and Misia below. Pattern for other animals will be available soon. Pucio is a boy from Polish book for children written by Marta Galewska-Kustra. There are already three books in series: Pucio mowi pierwsze słowa, Pucio uczy sie mówić and Pucio i ćwiczenia z mówienia. I crocheted Pucio some time ago and you can watch tutorial on YouTube - to remind you I attach links to videos below. 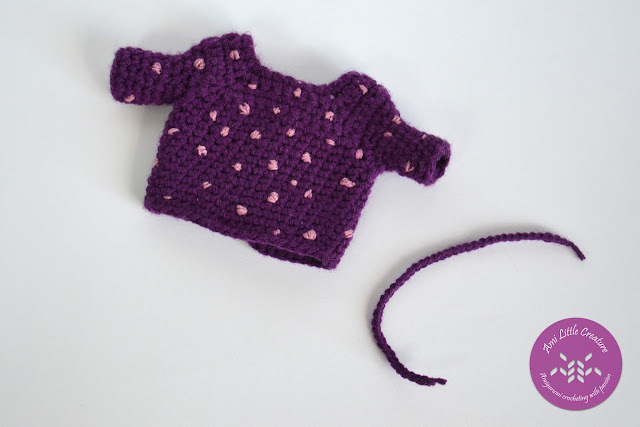 If you want to crochet Misia - Pucio's sister, you can follow my Pucio tutorial. 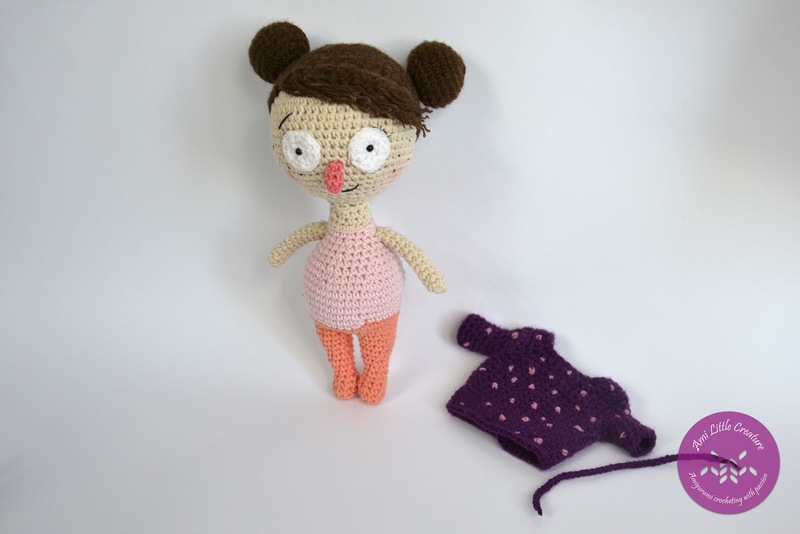 Misia is based on Pucio pattern - legs & body, head, arms, face details are similar to Pucio. Peachy color is for legs and light pink is for body (without additional belt; just change color from peachy to pink as you go from legs to body). For arms I used only one skin color - beige. New is the dress and hairstyle. Misa has two buns and fringe. I didn't use YarnArt Samba (as for Pucio did) but brown YarnArt Jeans and brush hair finally. I used crochet hook 2.5 mm for that project and YarnArt Jeans, but I tell you that recently I used crochet hook 2 mm for YarnArt Jeans when I was making Owls in love and I had better crocheting using crochet hook 2 mm. Add piece of yarn to the edge of fringe and brush hair. Fasten off, leaving a tail for sewing. Dress - the upper part - is in square shape. 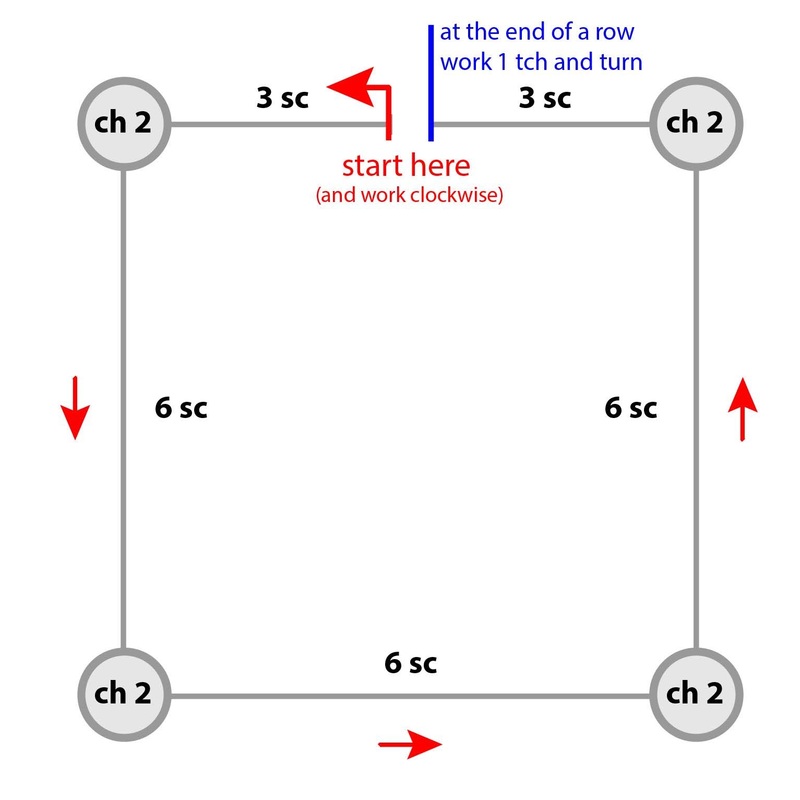 We start working in rows - row 1 contains 6 st on every side but back part is divided into two parts (right and left; we join them at the end using drawstring). There is 1 right back part (3 sc), 1 right side part (6 sc), 1 front part (6 sc), 1 left side part (6 sc), 1 left back part (3 sc). 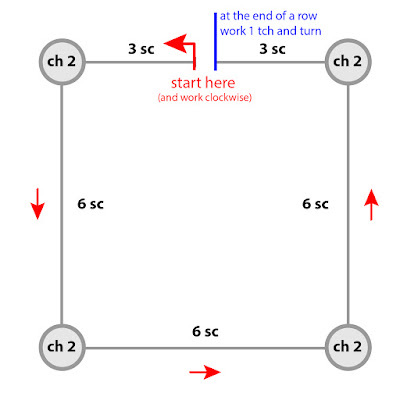 We work ch 2 in four corners between these 6 st to make square shape for the dress (upper part) . In next rows we increase number of stitches. Sleeve counts 19 st - we have 4 st at the bottom part and 15 st at the bent part. At the end crochet drawstring - work as many chains as you need to join back parts of the dress using drawstring. You can decorate Misia's dress with e.g. sequins or embroider dots. Photos are available to watch in the Gallery.